How to go through the proper channels … I wanted to ask the Children and Young People’s Trust a question about bus services, on behalf of a group of parents in Prestonville and neighbouring areas who have children at Hove Park School. So I had to send the question to the Head of Democratic Services a week in advance, then go along to the Cabinet Member meeting and read the question out to the Chair – who then read out the answer she had prepared in advance herself. If there’s a point to this ritual – other than to put people off asking the Council questions – it escapes me. But a trip to the Town Hall does make you realise just how distant it is. It is very disappointing news to hear that the appeal of Kingsbury Estate Ltd has been upheld and that planning permission will after all be granted. As someone who attended the inquiry, I would like to make a few comments. Although the Inspector who presided over the inquiry remained scrupulously impartial, I do feel that this process was weighted firmly in favour of the appellants for the following reasons. Firstly, the appellants had, together with a company called Town and Country Planning Solutions, engaged a very expensive counsel, Mr Clay, to represent them. 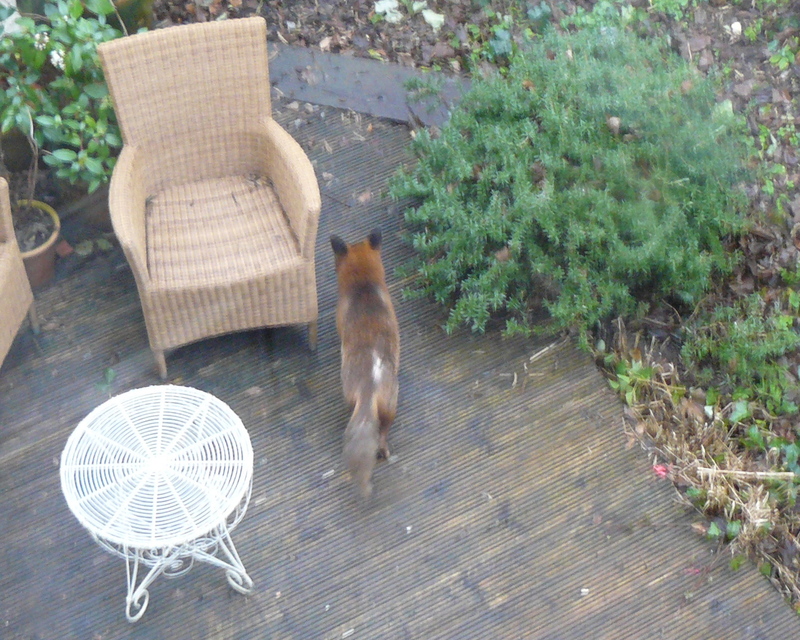 He argued a very targeted and detailed case, picking off Brighton and Hove Council’s objections only (some of which, it appeared, had already been conceded before the public inquiry began). Mr Clay did not respond to the larger, and in my view, more forceful issues raised by the other interested parties who attended. Secondly, Brighton and Hove Council, presented an extremely limited case – nothing on the traffic implications, nothing on the school implications, nothing on the stability issue (which I was nevertheless able to raise during the course of the inquiry). Why not ? Thirdly, the manner in which the case was presented by B and H’s counsel was weak. At times, it felt as if the Council’s representatives were merely going through the motions of contesting the appeal. They were certainly no match for Mr Clay. The Council’s hesitant case was thrown into sharp relief by the commitment demonstrated by the other speakers who contributed to the case against the development, local people who will be directly affected by it. Nevertheless, tactically, Mr Clay was able to ignore them and concentrate solely on the Council’s limited case. A cynical observer might well draw conclusions from this mismatch. But I shall suspend my cynicism and only point out the possible positives that have come out of the inquiry. Firstly, it is a condition of the development going ahead that the stability of the cliffs beneath the site is investigated. The findings could well make the cost of developing the land for residential use unviable for a developer. Secondly, we are in the midst of a recession that is impacting hugely on the building industry and the property market. It may well be that, as happened last time planning permission was given, there will be no rush to commence the building work. The planning permission granted must be begun before the expiration of three years. Let’s hope the greed that has swallowed up this once public asset will not prosper in what’s left of the free market. 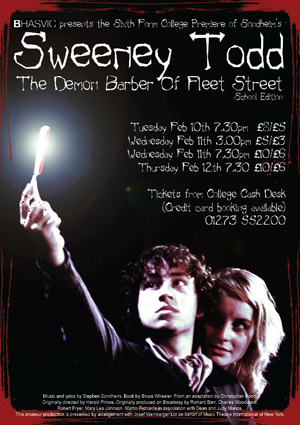 The annual College musical is a production of Sweeney Todd, The Demon Barber of Fleet Street. This will be the without doubt THE BIGGEST musical production staged at BHASVIC. This will also be a noteworthy first in that is the first Sixth Form College (or school) in the South of England to acquire the rights and to perform the school edition version of the Sondheim show. Performances are scheduled to take place in the College Hall on Tuesday 10th, Weds 11th and Thurs 12th February, the last week before half term. The Hall will be transformed into Victorian London with a specially hired in professional set. Before the performance, Victorian street traders will be on hand to sell you refreshments (including one of Mrs Lovett’s famous pies!) and an assortment of reputable and disreputable characters will be on hand to entertain you! The last night performance is slightly special. Anyone who attends in Victorian costume will get free food and drink! It’s not obligatory but we hope to make the last night something slightly special. Please note that gentlemen will be required to remove their top hats during the performance (ladies will be allowed to loosen their corsets). This is as close as you will get to a West End show. Why not make it an evening to come with a group of friends or family? The developer behind the illegal destruction of trees in June 2007 on the Anston House site, on Preston Road, has been fined £30,000. Whether that is going to put much of a dent in his finances, or deter other developers who want to clear sites quickly, is open to question. When the PCA got involved with this at the time, we were told that the maximum possible fine was double the site value – a lot more than £60k even in the current climate! No word in the Argus report either about whether the developer will have to plant replacement trees. The problem of dog poo on the pavement (and in the park), which 10 years ago was a huge problem, has almost completely gone away, at least at the northern end of Prestonville – for which I am sure we are all very grateful. Recently, however, someone has been allowing their dog regularly to foul the pavement in Port Hall Road (and presumably elsewhere). If anyone actually sees this happening, please can you screw up your courage and implore them not to be so anti-social. I dread a return to the bad old days, when one had to watch one’s step all the time. Runners setting off on a very frosty morning. Keen joggers in the area, or those thinking of taking it up, might be interested in the Brighton & Hove Parkrun that takes place every Saturday morning at 9am in Hove Park. The run is 5km, about two and a half times around the park. After the initial online registration, which takes a couple of minutes, just turn up whenever you feel like it and run. It’s entirely free and the runners are of mixed ability and age. For example, today there were 108 runners aged between 14 and 74! It’s a very friendly atmosphere and the best bit is that you finish very close to Hove Park cafe! For those who enjoy having a target, every runner is given a finishing position and time. This is recorded on the Parkrun website so that you can track your progress. One last thing, Parkrun takes place whatever the weather and it was -8 degrees C last week! Prestonville resident looking for Friday lunch.